I am updating this from my original post. When I first posted I did post the Good Reads Description. That was wrong on my part. Jaime McGuire is a remarkable author and I should not have done that. She had seen the unspeakable. She would learn the unknowable. Now, she would fight the invincible. 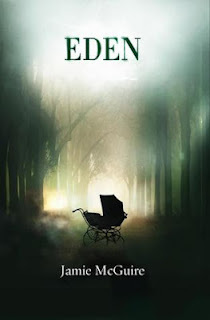 In the third and final installment of the Providence series, Nina Grey will marry the wrong man, carry the child that was never supposed to be born, and fight a war she can't win. Faced with the impossible task of protecting his new wife and unborn child against the throes of Hell, Jared Ryel is allowed no mistakes. Pressured to return the Naissance de Demoniac to Jerusalem, he revisits St. Ann's to learn the answers were in front of him all along. Let me tell you this: this is an remarkable series and the third and final installment is the best. Nina and Jared are still trying to figure how to stop the "prophecy" and with their family by their side TRY to not start a war. That does not work out very well. Jared, Nina, Ryan, Claire, and Bex are in for the long haul. There are a few surprises in this book that I was shocked by. Which proves my point on what a talented writer Jaime McGuire is. The list 20% of the book is, by far, the best fight scene I have read in a very long time. Jaime is very detailed and as I was reading it I was out of breath because I felt like I was there with them on their every move. Yes, I even shouted at my Kindle for them to fight harder (that is the truth). Just like the other two books this was a fast and great read. I would recommend this to anyone and everyone!